It's the third week of January. 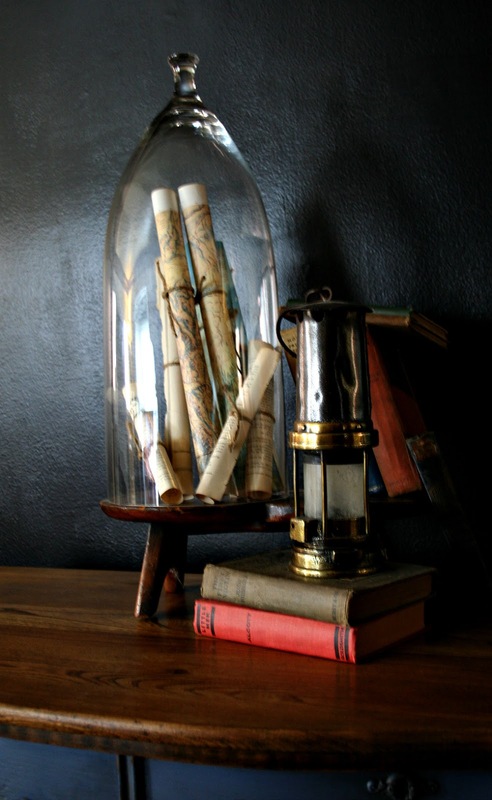 It's the week when I get to show you my entry into the January Fab Furniture Flippin Contest. And, since it's January - the month of fresh starts - A Fresh Start is the theme for this month's contest. The sponsor for this month's flips is General Finishes. General Finishes produces a wide variety of oil and water based finishes for wood. They have a professional and retail line as well as a full line of products for floors. You may remember they sponsored our September contest. 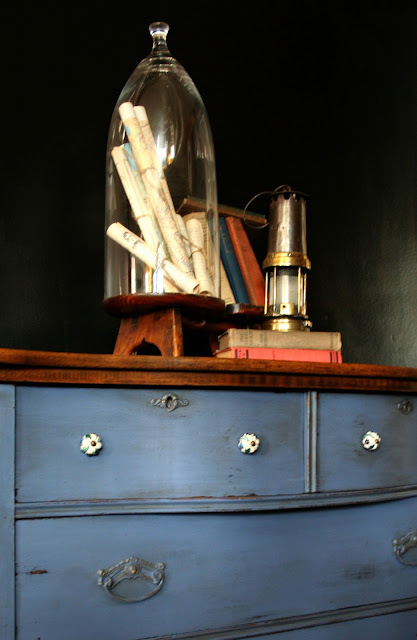 That particular month we used General Finishes Milk Paint. For that challenge I also used 2 colors of Gel Stain, and the High Performance Topcoat. I found all of these products easy to work with and easy to use. 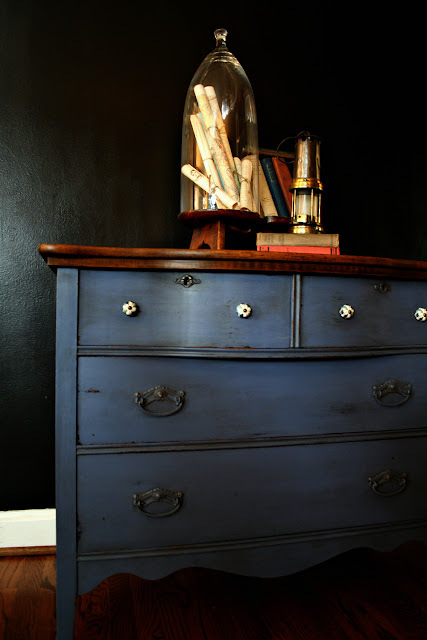 This month we had the chance to work with their new Chalk Style Paint. General Finishes provided each of the participants with a quart of the paint. The winner of the challenge will also be rewarded with prizes from General Finishes. I've been wanting a dresser in my guest room. I think. I'm pretty fickle about my plans for the guest room. They change before I've ever even started on one of the many concepts I've come up with. I had a dresser in the basement that I had been storing things in. Actually, it was storing all the things that I used to store in the mid-century (above) dresser before I painted it. The color I selected was Fjord Blue. General Finishes pretty much rocks the blue colors and I knew I couldn't go wrong with one of them. The dresser was moderately rugged on the surface. The drawers were a little loose and had to be glued but the dresser itself is perfectly square and stable. It has the original wheels and none of them are falling out, which I always consider a minor miracle. The most difficult thing to deal with was this weird sticky furry stuff on the top. This color of blue is really lovely. 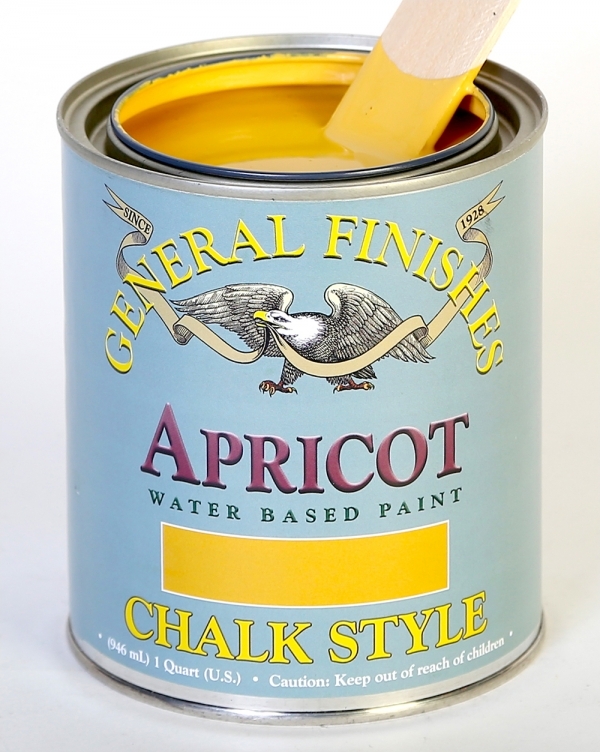 I want to talk a bit about working with this brand of chalk type paint. The paint went on beautifully. It was very easy to work with. Those are the positives. The negative for me was that it did not distress well. 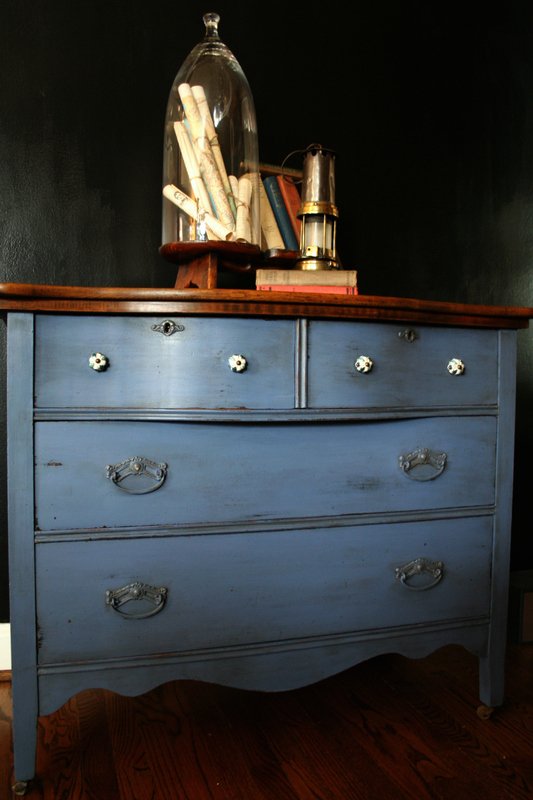 It responded to the sanding more like a latex paint - building up on the sand paper and beading up a bit - pulling from the dresser rather than powdering off like a chalk paint. This could have been because I did not prepare the piece as the instructions said. I used the prep techniques I have with my favorite chalk paints. That said, the final paint finish took the wax well and turned out beautifully. 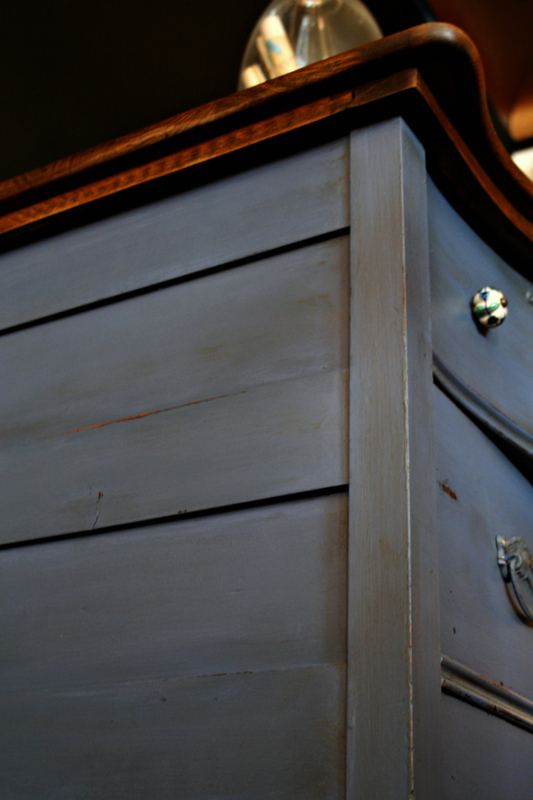 All in all, I enjoyed working with General Finishes Milk Paint more than their Chalk Type Paint. 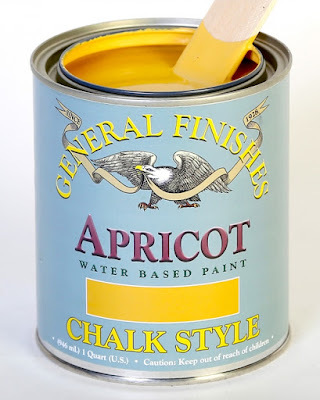 BUT General Finishes Chalk Paint is - to this very experienced "chalk painter" - superior to several of the brands out there and is FAR superior to any homemade chalk paint. Price-wise it is the same as a high quality latex paint but more expensive than quarts of the box store brands. It is not the same as working with many of the chalk paints so you have to be careful to use your painting skills to manage the paint rather than expecting it to work just like another brand that you have used before. 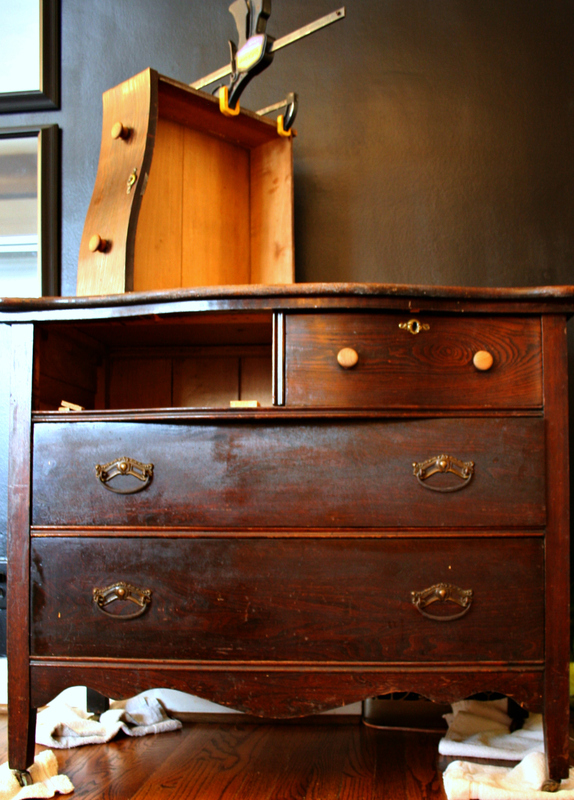 The top was stripped with a Jasco Varnish & Stain Remover. I hand sanded with 80 then 180 grit sand paper. I didn't use 220 because I wanted some grain since I was going to be using Annie Sloan Dark Wax to stain the top. It turned out beautifully. I find that blues are hard to photograph and I must tell you that the actual color is slightly deeper than these pictures show. I also find that blues are the easiest color to paint with. I don't know why. Perhaps it is because of the color saturation. This piece is covered with 2 thin coats of paint. There is barely an inch of paint missing from the can. I may be able to paint things Fjord Blue for the next year! Thank you to General Finishes for sponsoring us this month. 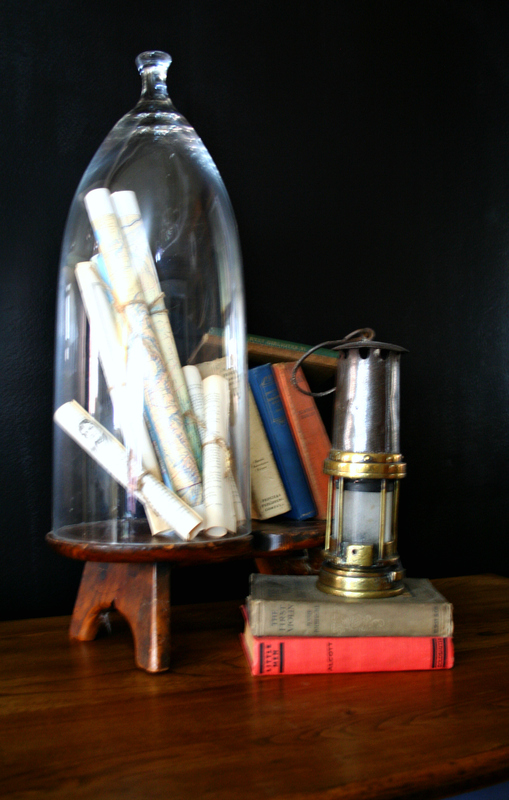 And thank you to our 2 Hostess of the Month - Evey at Evey's Creations and Stacy at Anastasia Vintage . You can see ALL 30 of the projects on their links. My project will be there as well, and if you arrive after midnight on Jan 22, I THINK you can vote for me as a fan favorite. The winners are selected by a judging panel, but it's nice to be loved by all my fans. HAH! 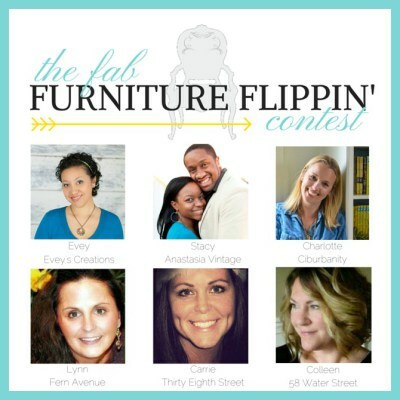 If you would like to be part of the Fab Furniture Flippin Contest, send an email to info@fabfurnitureflippincontest.com. I chose Fjord Blue as well, but found it a little too periwinkle-ish for my taste, and so ended up mixing some Lamp Black into the blue. All that to say, the Fjord Blue here looks like what I was envisioning when I ordered it the first place! ;) I digress, however! This looks really, really nice! I alway appreciate your vision and the subsequent outcome. The dresser turned out beautifully. I think Steve would like it because it has the color I love, but a more masculine look than I usually use. I brought my cloche in from the shed, but didn't know what to put inside. Thanks for some inspiration. I even have the right paper to roll up into scrolls. Not sure of the Fjord blue but maybe my monitor makes it look different than it actually is. It seems to me a color which would be hard to go with other colored/painted pieces. Love the piece and fact it has little wheels on legs. I always wonder how those little wheels can hold a dresser with "stuff" in it. Dresser must be all wood to handle any weight. You did great job on top, it looks silky smooth and shiny. Notice you painted the drawer pulls same color, good idea. Not too much distressing is nice also. Sorry I know distressing is so popular, not every body loves it when it's done to an extent. good luck in the contest. Thanks for tips about the CHALK PAINT. 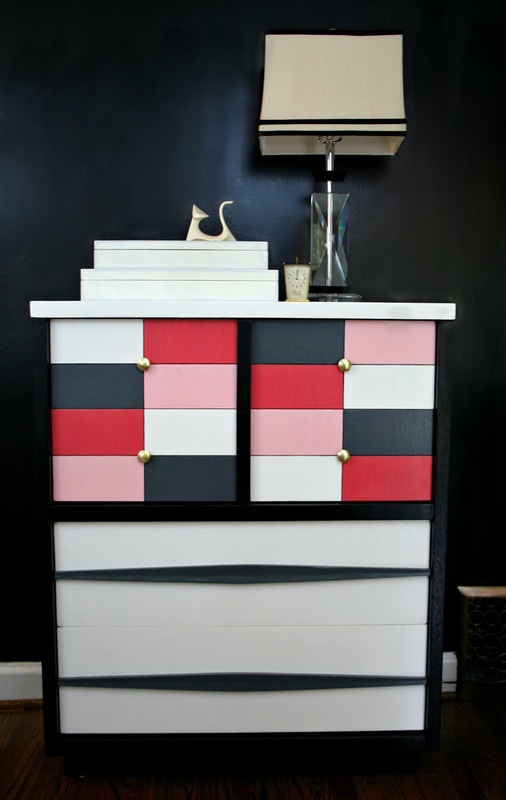 I love the shape and design of this dresser and I think you painting job highlighted all the good! Love it! Love how your project turned out. I'm a big fan of the blue hues and this shade looks fab on the gorgeous vintage piece. I found that wet distressing worked very well with this brand, a method I prefer when distressing appliques and detailed work. Love it and pinned it. LOVE IT!! And your staging is awesome against that black wall...love! !